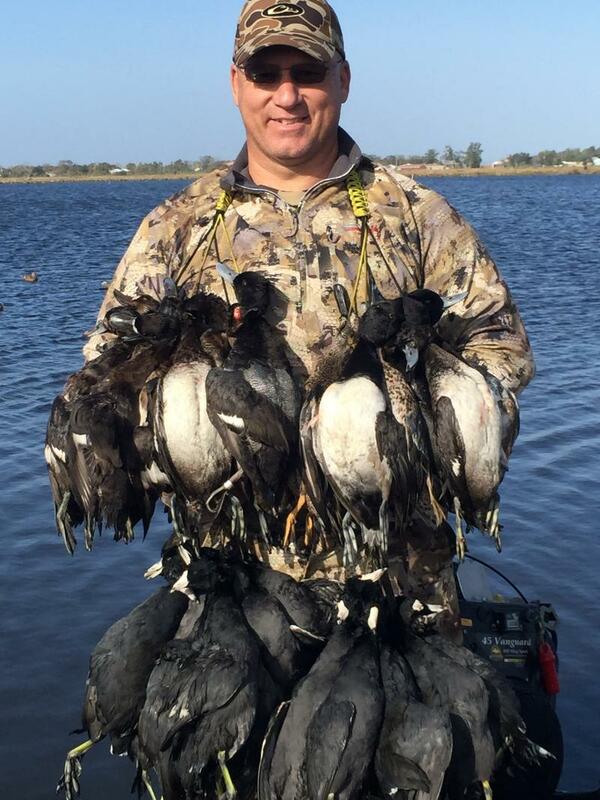 Cajun Fishing and Hunting Charters - Louisiana Duck Hunting 985-870-5909captanthony1@yahoo.com CALL NOW FOR A BLAST AND CAST TRIP. SHOOT DUCKS IN THE MORNING AND CATCH REDFISH, TROUT, DRUM AND SHEEPHEAD ALL IN THE SAME DAY!!! CALL NOW FOR A BLAST AND CAST TRIP. SHOOT DUCKS IN THE MORNING AND CATCH REDFISH, TROUT, DRUM AND SHEEPHEAD ALL IN THE SAME DAY!!! We are located on the southern end of the Mississippi Flyway in Houma Louisiana. Only an hours drive due West of New Orleans. Come enjoy a day in the beautiful marshes of south Louisiana with us. We start the day with a 22' Dual Engine Gator-Tail boat and motor ride into the Louisiana marsh to get to our hunting location. We will shoot a wide variety of ducks. 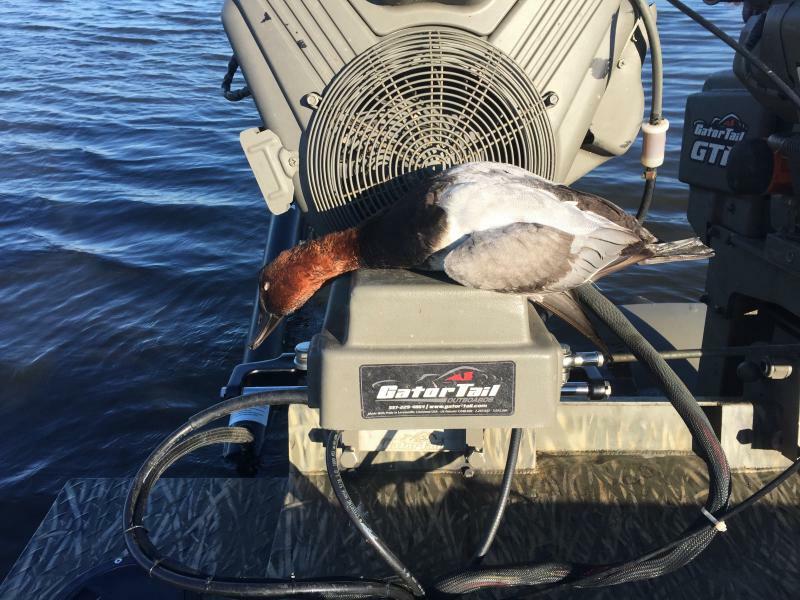 From gadwall, widgeon, green winged, blue winged teal, pintail, and our native mottled ducks to divers such as redheads, canvasbacks, buffle heads, rudy ducks and bluebills . 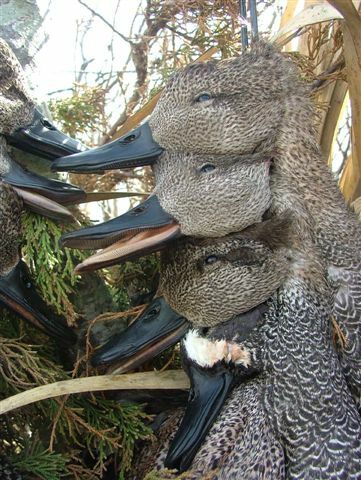 Our early teal season starts in mid September. Then our regular duck season starts in mid November and runs through the end of January. We have over 3000 acres of private wetlands and over 40 blinds to choose from..most blinds have plywood floors and bench seats. No waders needed,we don't get into the Louisiana mud. All you will need is a pair of ankle or knee boots. We can handle groups up to 40 people hunting, fishing and lodging. 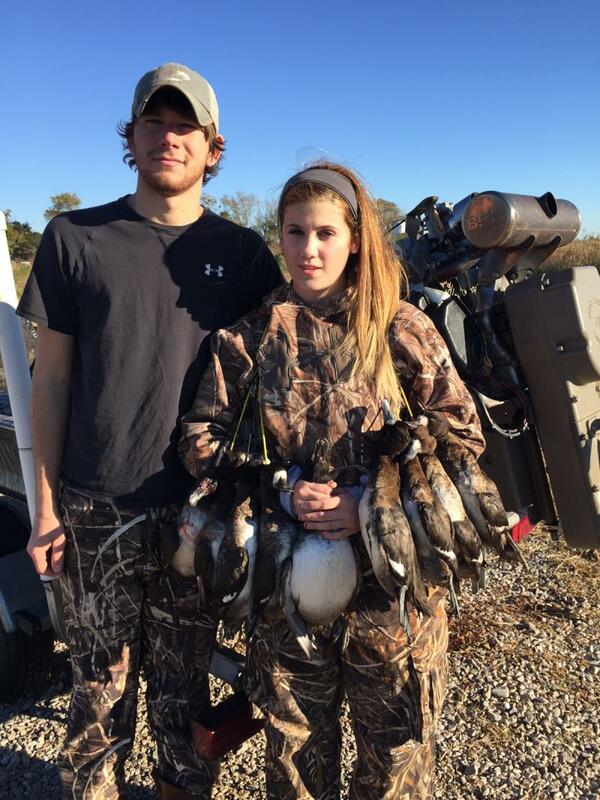 Also our most popular trip is a Duck Hunting/Fishing Combo. We will hunt ducks in the morning take a small break and get back on the boats to go fishing. During the fall and winter we experience our best fishing of the year. The redfish and other species are loaded in private canals and marshes that are only accessible with our gator tail boats.